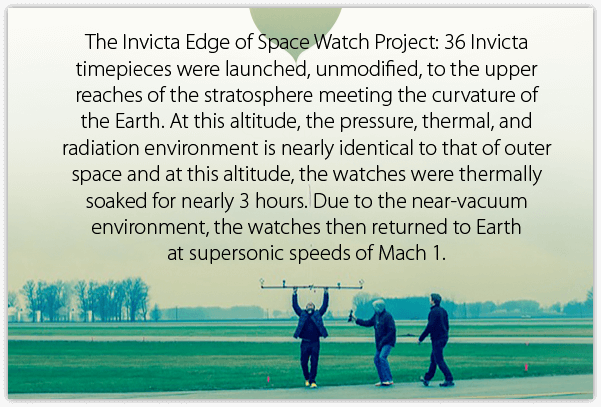 Invicta watches owe much to the foresight and vision of Raphael Picard. 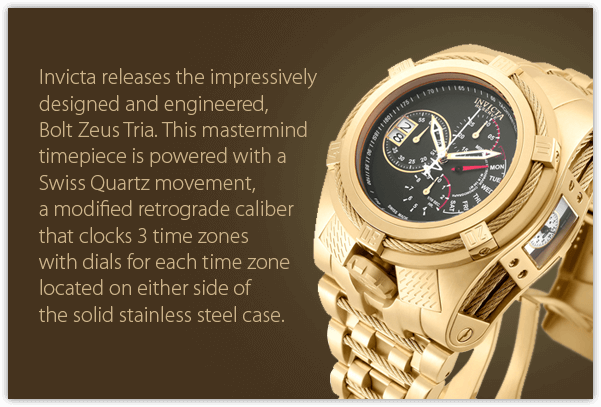 Picard was a Swiss watchmaker who strove to create timepieces of the highest quality, utilizing the best materials and components that were available to him. 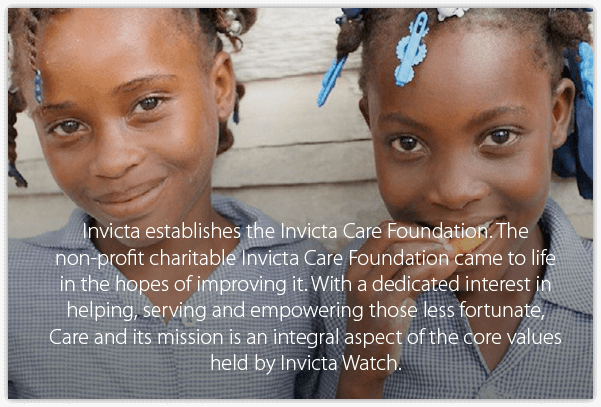 It became his parallel goal to ensure that the watches he made would be affordable for the average man, thus creating a niche market for Invicta that would serve the company well. 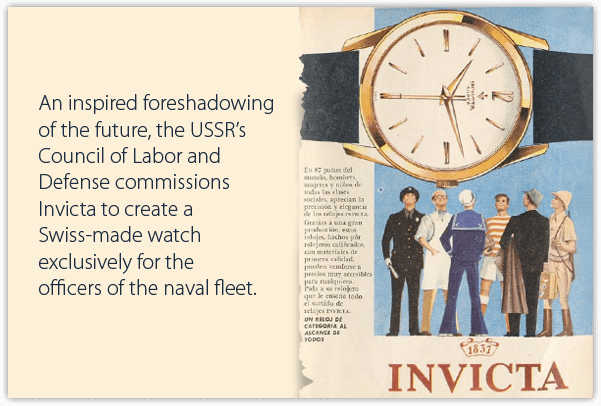 Picard founded the Invicta Watch Company in the 1930s. As his operating base, he chose La Chaux-de-Fonds, situated close to the Swiss border with France, and an established center of trade and industry. 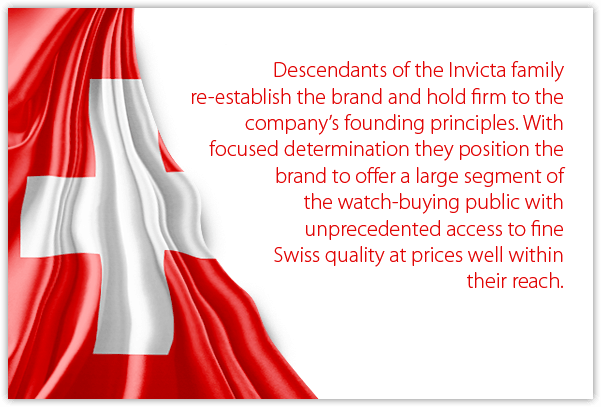 Other well-known watchmakers were also based in La Chaux-de-Fonds, including Movado, Omega, TAG Heuer and Gallet. 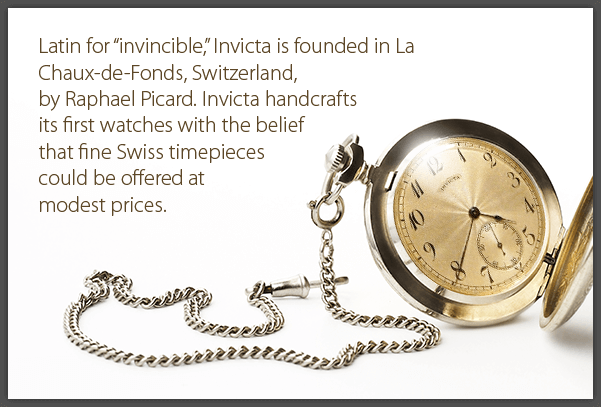 In 1937, Picard created the premier Invicta mechanical winding watch. 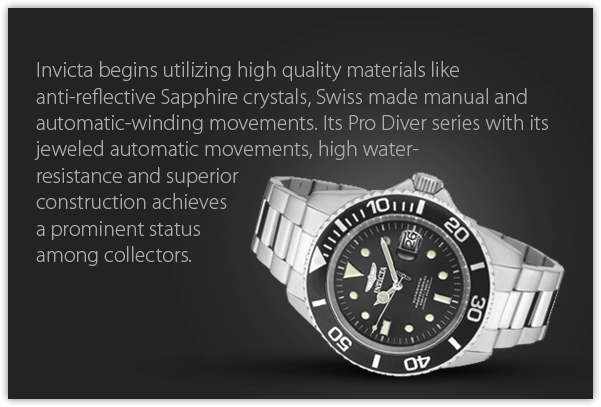 It would be followed by men's and ladies' watches crafted in an array of automatic and winding styles, but all manufactured to the strictest measures of quality and precision. This was the Picard philosophy that became the Invicta trademark. 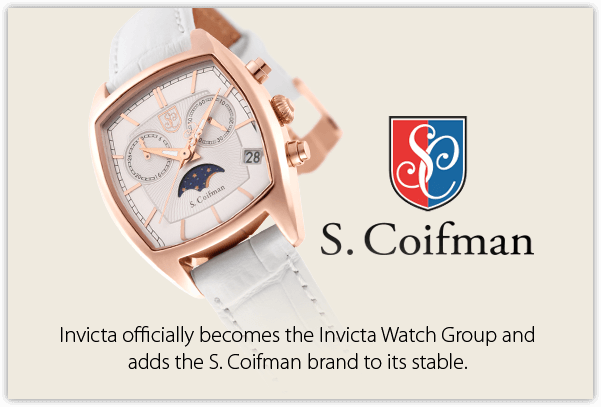 The choice of "Invicta" for the company and watch name was as deliberate as the selection of La Chaux-de-Fonds as its headquarters. 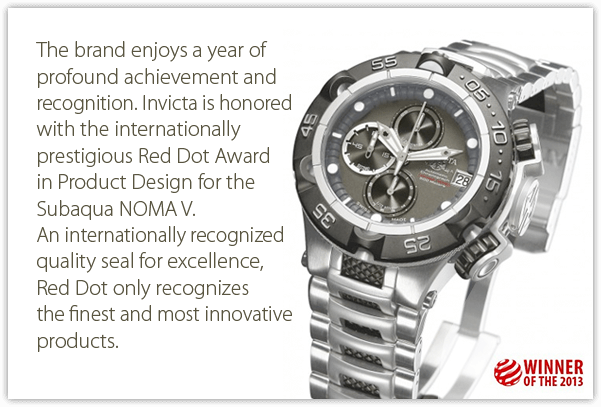 In Latin, "invicta" means "invincible." 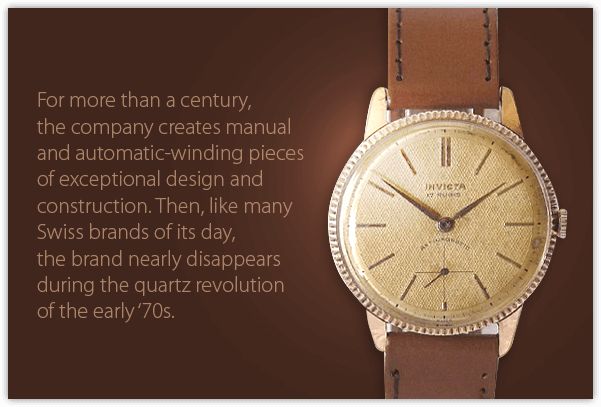 During the 1970s, the rise of quartz watches almost led to the fall of Invicta, which continued to produce timepieces of impeccable quality. 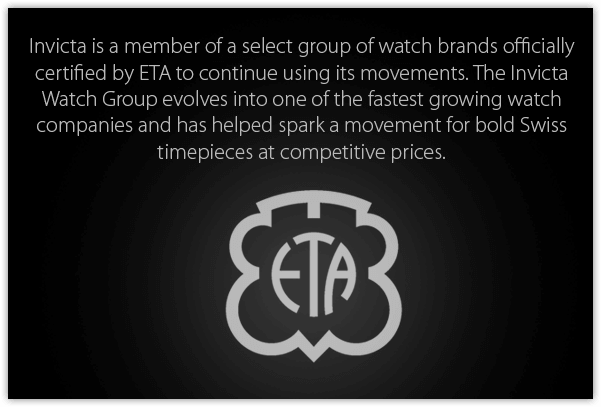 Competing against a very new and cheaper product proved challenging. 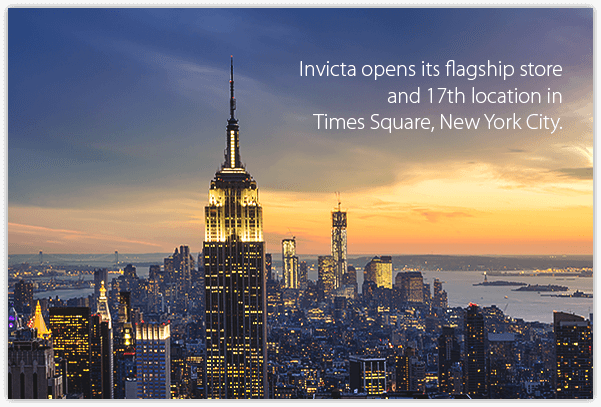 However, the philosophy of invincibility prevailed, and Invicta was able to ride the wave of a trend that almost put it out of business. 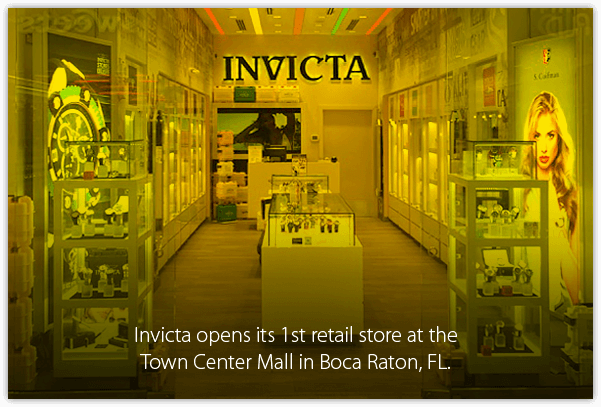 Moving forward, Invicta strived to provide the market with new and better watches which also had distinctive features. 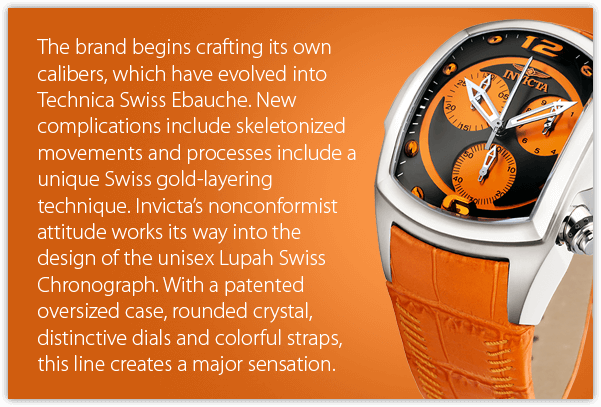 An example is the Limited Edition Subaqua Noma with a genuine meteorite stone dial. 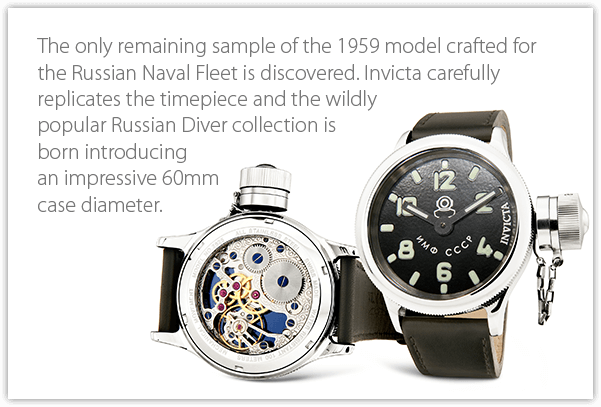 Invicta also designs and manufactures watches for specific market sectors, like divers. 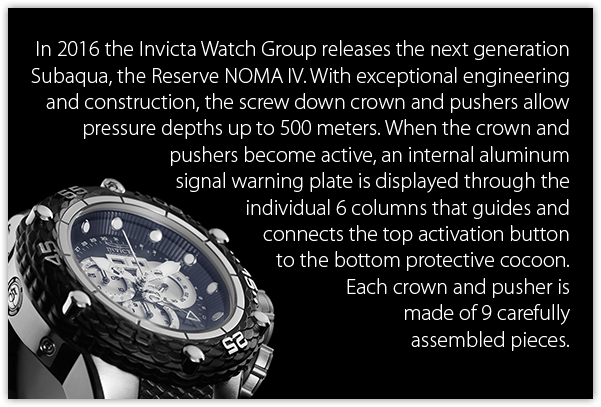 For instance, the Invicta Titanium watch series with its 21-jewel movement, is water-resistant to a depth of 200 meters. 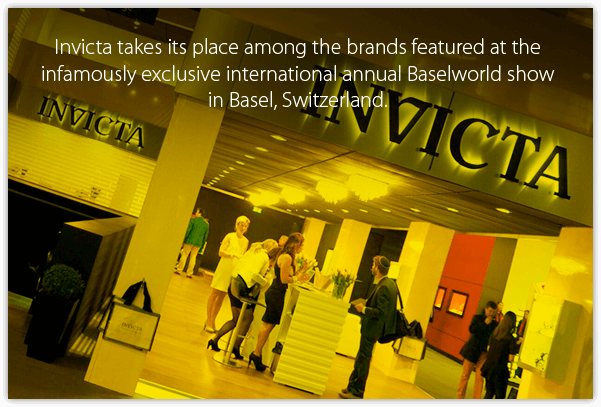 Collectors are also part of the Invicta following.